"Make us a music culture authority as relevant as Rolling Stone in the '60s and MTV in the '80s." 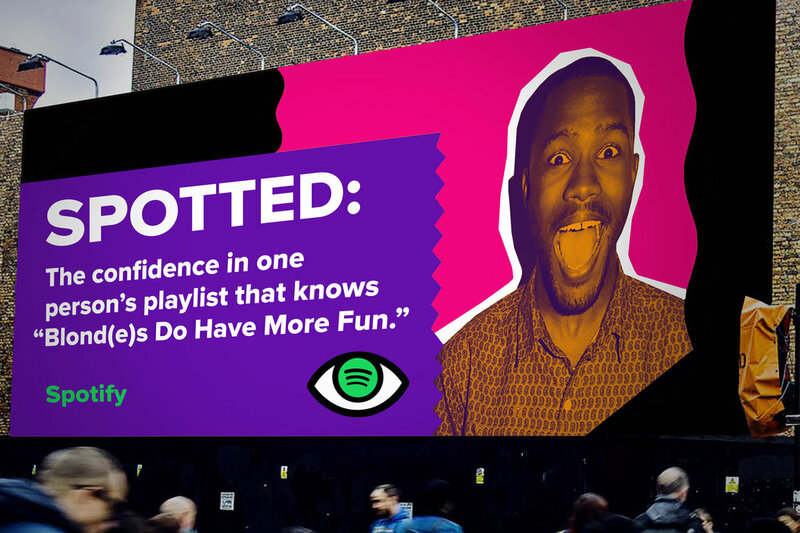 So we envisioned a world in which people think of Spotify as more verb than noun, just like you "google" something or "venmo" money to people. 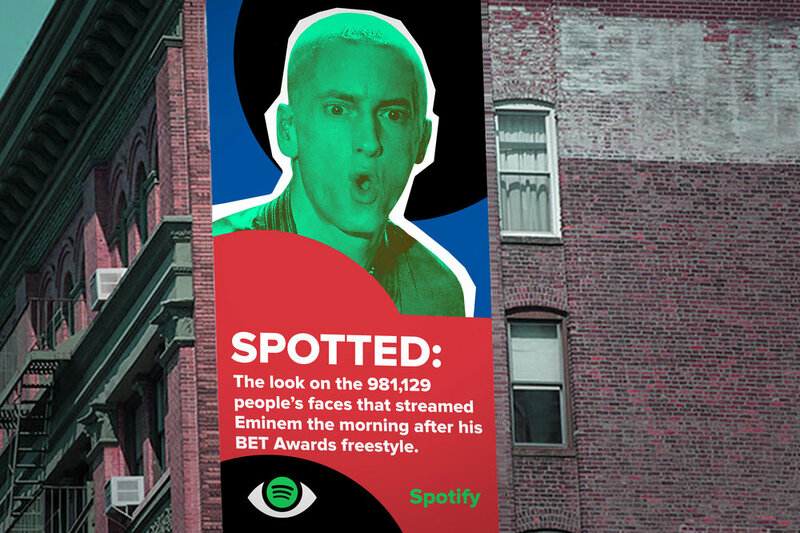 With our campaign we created a vernacular that new music isn't just found, it's "Spotted." 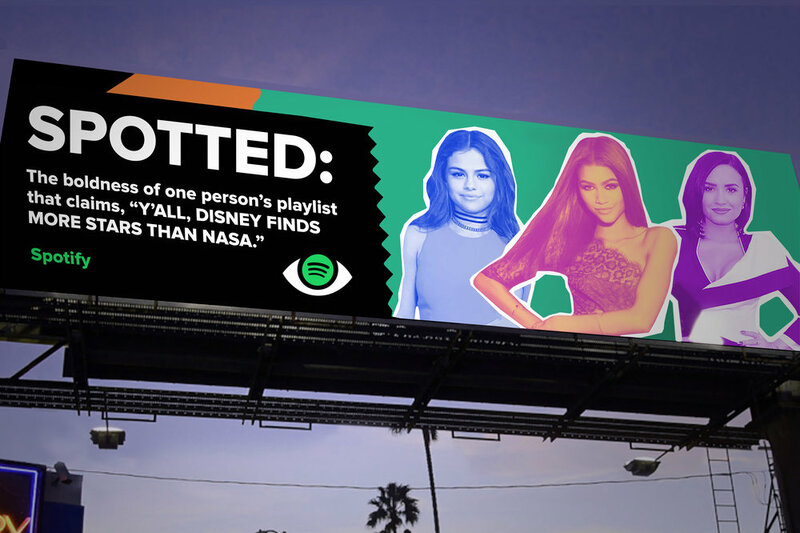 Other OOH boards will utilize Spotify's deep user data to expose interesting listening habits, fitting into the brand's current advertising. Social media posts will play with paparazzi language conventions as a way to announce newly released music. 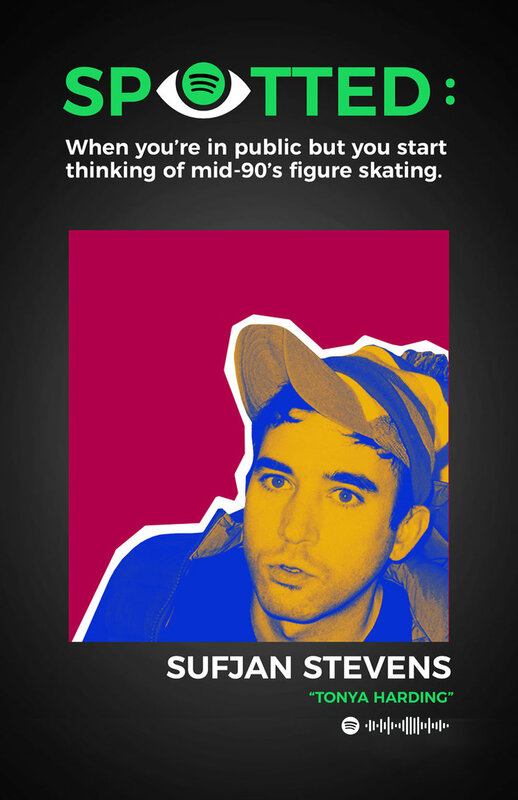 Spot It Mode is a way for listeners to discover new music from people, not an algorithm. When enabled, suggested songs will stream at intervals during your playlists, curated from the similar playlists of other listeners in your area. So you’ll find new songs based on the actual humans that listen to them. Users can change the frequency of and range from which new songs are suggested. Only want to hear new songs from playlists in Richmond, VA every half hour? You can do that. The Spot It Mode dashboard can be activated at any time by turning your phone landscape, allowing you to manage your settings, organize your playlists, and see what you’re listening to all at once. Suggested songs that have been spotted are marked in users’ playlists with an eye icon. In addition to spotting new songs, users can track how many times songs have been spotted from their own playlists. This introduces an element of social clout to the platform, and encourages tastemakers to continue to curate the best playlists possible.